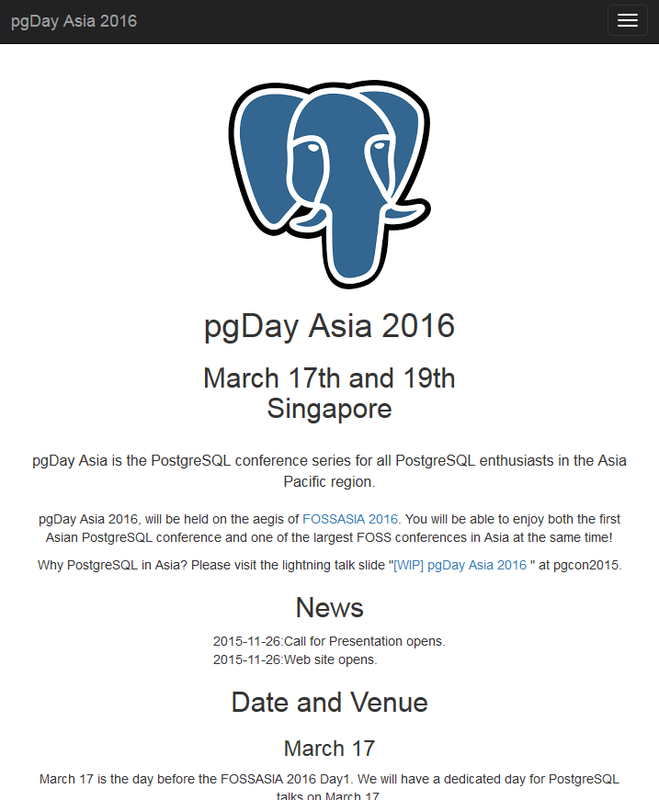 As I sent the announce to pgsql-announce a few days ago, we are pleased to announce the first pan-Asian PostgreSQL conference in March 2016 in Singapore. pgDay Asia 2016 is a 2-day event linking to FOSSASIA 2016, one of the largest FLOSS conferences in Asia. So, you will be able to enjoy both the first Asian PostgreSQL conference and one of the largest FLOSS conferences to meet new friends in Asia on the same week! 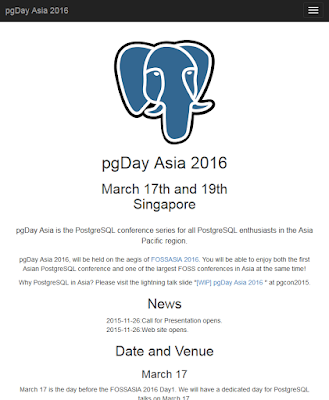 A few days ago, we opened the pgDay Asia web site, and the Call for Presentations has begun. Please submit your talks to share your experiences and meet new friends in Asia. And if you are interested in pgDay Asia, please subscribe to our list to stay informed on the website. 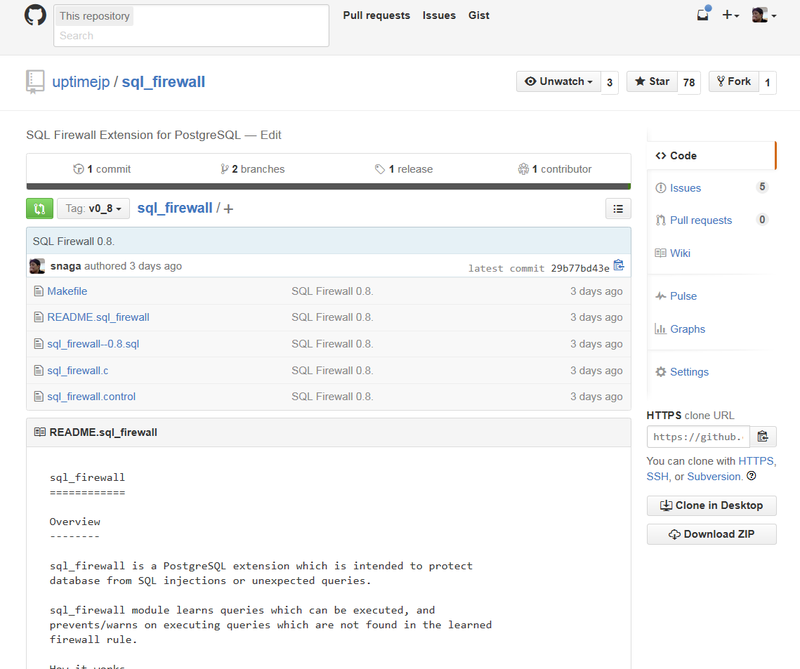 A few days ago, I had released a brand-new PostgreSQL extension, called "sql_firewall". sql_firewall is intended to protect PostgreSQL database from SQL injection attacks by limiting SQL queries to be executed on the database. In this entry, I would like to introduce how it works and how to use it. In this entry, I would like to explain how to use pt-table-usage and pt-index-usage commands in the Postgres Toolkit which I introduced in the previous entry. 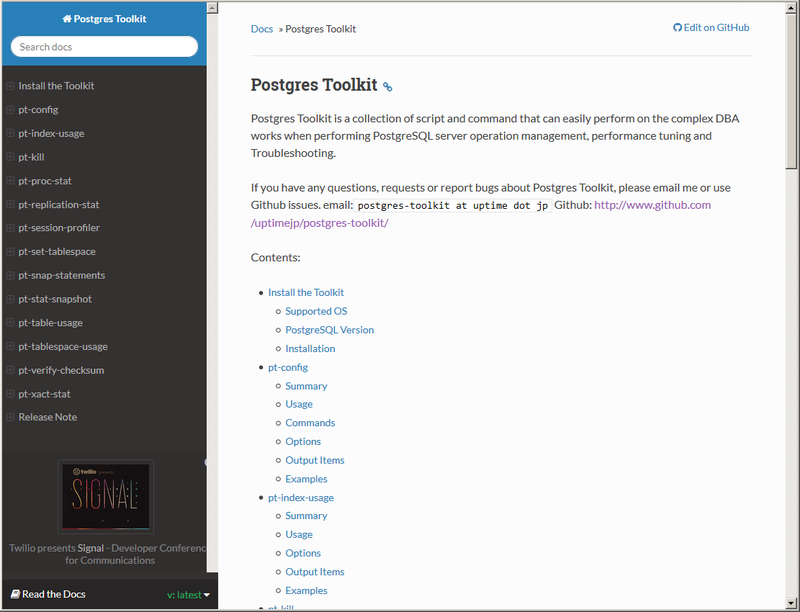 If you have never heard about Postgres Toolkit, please visit the previous entry. pt-table-usage and pt-index-usage are the commands which can be used to obtain usages of the tables/indexes of PostgreSQL. 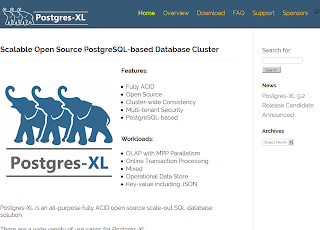 If you are already familiar with PostgreSQL, you may know that several system views and system tables need to be combined in order to obtain the PostgreSQL statistics and usages. So, obtaining those information is one of the essential talks for DBA, but it is one of the complicated and bothersome tasks. pt-table-usage and pt-index-usage are designed to allow DBA to deal with those tasks in single command. 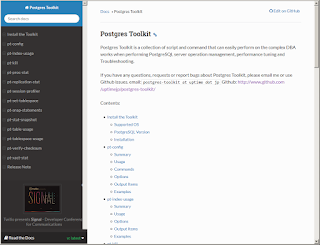 Today, we pleased to announce the release of Postgres Toolkit 0.2. 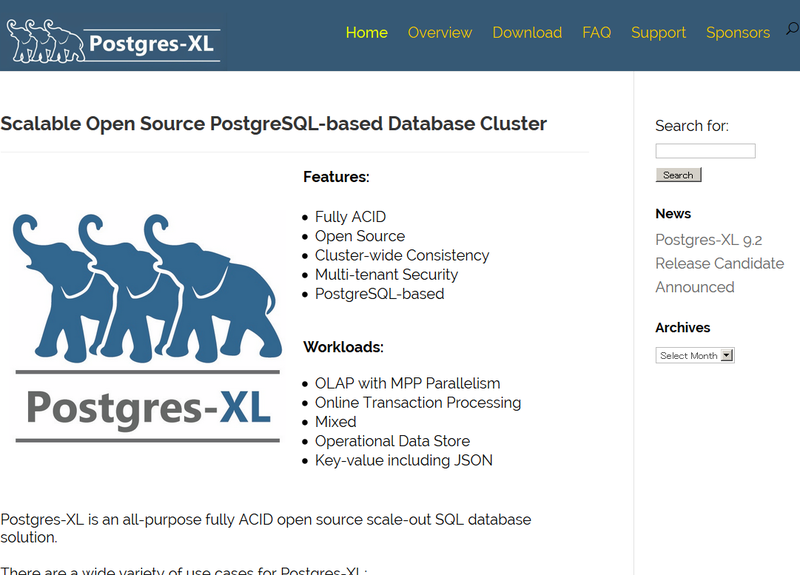 Postgres Toolkit is a collection of scripts and utilities which is intended to help PostgreSQL DBA to improve quality and productivity of their daily jobs and operations. With having Postgres Toolkit, DBA will be able to avoid from writing complicated queries and maintaining their own scripts for their daily operations and do daily DBA jobs. So, the concept of the toolkit is like "A Victorinox for PostgreSQL DBA." I found this concept when I was sitting with our clients to help them solve PostgreSQL performance issues. At that time, I had no such tool which could help me. I had to write my own several scripts, and it meant someone needed to maintain and support them. So, I have decided to create "a single solution" which everyone can use anytime everywhere. 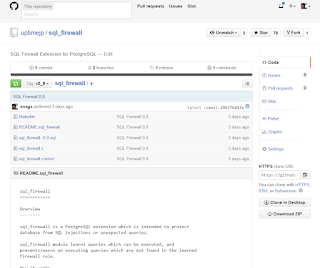 It is similar to Percona Toolkit for MySQL users, produced by Percona.